"I am so pleased to announce the resumption of our program in 2018. I first traveled to Egypt with my father in 1961, when he was researching his first expedition there. The journey was epic, and the experience was indelible. Things are very much on the upswing, and there is a pervasive optimism there about the future. And the resplendent antiquities remain," stated Sven Lindblad, CEO of Lindblad Expeditions. · In Cairo, see the treasures of Tutankhamon; explore Old Cairo, known for its Coptic churches; and stroll winding streets to the thousand-year-old Ben Ezra Synagogue. Explore some of its greatest Islamic architecture and art, including the Ottoman-era Muhammad Ali Mosque, the elegant Ibn Tulun Mosque, and one of Cairo's jewels: the Gayer-Anderson Museum. A Nile cruise is the centerpiece of the journey, and few if any ship can match the elegance of the Oberoi Philae. 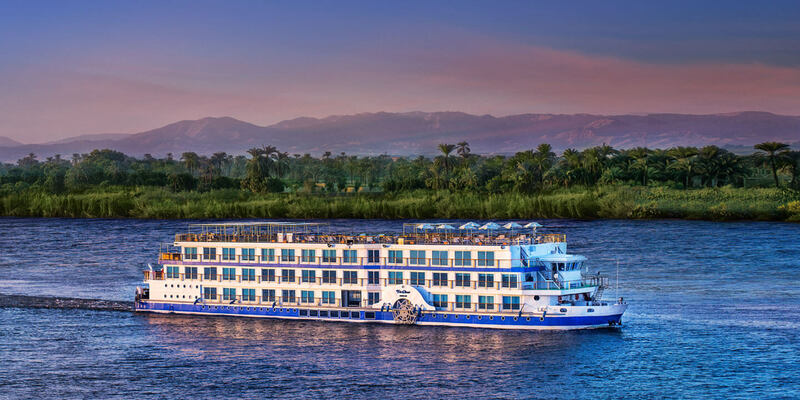 Built originally for 100 guests, she was completely remodeled to accommodate just 42, and offers the finest and most exclusive accommodations on the Nile. 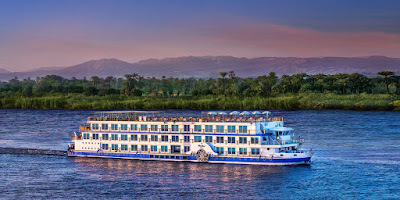 Her 22 cabins, including 4 suites, are large and comfortable, and the ship's nearly floor to ceiling windows offer idyllic views of the Nile and the passing scenery. The top deck features a swimming pool and an al fresco restaurant, with a stylish enclosed restaurant downstairs, as well. A spa and a professional wellness specialist add an extra level of amenity and comfort. The lounge is the venue for talks and recaps, and there are a number of other public spaces to relax, read, and enjoy the views.